Mesotherapy is a natural, minimally invasive, form of homoeopathic treatment which can be used to nourish, hydrate and rejuvenate the skin, stimulating collagen and elastin production. Mesotherapy involves the micro-injection of microscopic quantities of pharmaceuticals, vitamins and minerals into the skin to help it rejuvenate and repair itself. It delivers vitamins into the mesoderm, or middle layer of skin, acting as a "medicinal bullet" that is delivered directly to the target area. It can also be used to reduce cellulite, localizing fat deposits and promoting weight loss, by stimulation of metabolism, local circulation and fat breakdown. It involves multiple injections using a very small fine needle placed immediately beneath the surface of the skin into the problematic area/s. Just a "drop" of solution is used at each injection site. The process is usually painfree. 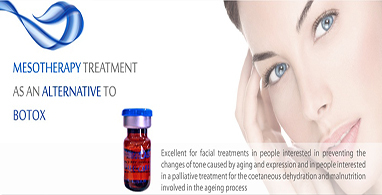 Mesotherapy is considered as an Aesthetic Medical Speciality. Pioneered by the French physician Dr. Michel Pistor in 1952, Mesotherapy is a minimally invasive procedure that is widely used in Europe to treat various injuries and medical conditions. Mesotherapy was recognised by the French National Academy of Medicine in 1986. It was found to be an integral part of traditional medicine. Every day, doctors worldwide use Mesotherapy to help tens of thousands of patients. According to Dr. Michael Pistor, the founding father of Mesotherapy, Mesotherapy is "surgical medicine," that is, medications are injected directly into the dermis at the site of pathology or condition being treated. Mesotherapy is effective on a wide range of problems on the face and body, and so patients can realistically be of any age or gender. Mesotherapy can be used for a diverse group of situations. 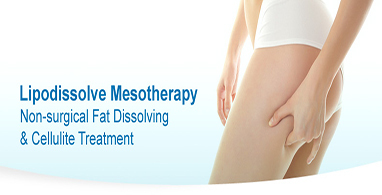 Mesotherapy can also be effectively used to treat body sculpting, and rejuvenation of the skin. Meso pain management is evaluated on an individual basis. 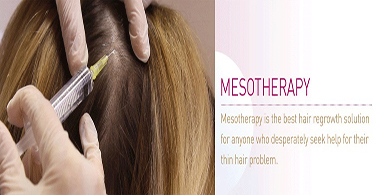 1What Areas Can Be Treated With Mesotherapy? Mesotherapy is commonly used to rejuvenate skin on the face, neck, décolletage and hands. Fat reduction can be applied anywhere but most frequently on jowls, chin, legs, buttocks, abdomen and arms. 2How Many Treatments Do I Need? You will need a course of between 3 and 10 treatments depending on the area being treated and the skin concern. Once you have completed your initial course you may need occasional ‘top-up’ treatments to maintain results. It's advantages include the elimination of side effects and contraindications associated with many medications. Intolerance to a medication is often triggered when it reaches parts of the body that have no need for it. In many cases, previously intolerant patients can tolerate the drugs in Mesotherapeutic form. Once the medication is delivered, the body is stimulated to heal itself. Because the target areas are immediately reached with undiluted medication, the amounts needed are reduced, making Mesotherapy more cost effective and more instantaneous. The microinjections are relatively painless, and side effects are limited to minor bruising. Mechanical: The needle is creating micro perforations that induce a healing process. The posttraumatic response of the organism is to produce collagen and elastin – two of the key building blocks of skin. As there is no removal or “real” damage to existing collagen, the new formation of it simply adds to existing levels. Chemical: The injected active ingredients will stimulate the organism. For instance, if the circulation is poor, a vasodilator is used ( ex. coumarin); if excessive inflammation is present, an anti-inflammatory medication is used (ex. organic silicon). The quality of the product, its composition regarding the indication to treat is of first importance.